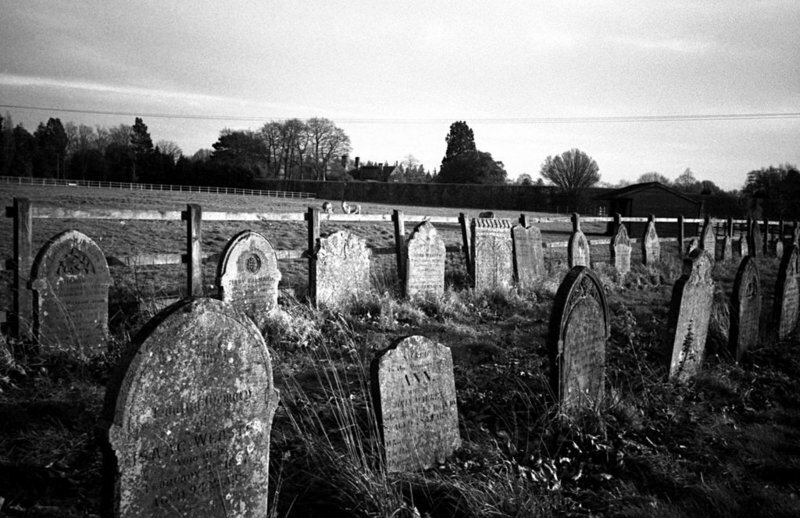 I took the above photograph of Besthorpe church graveyard, a few weeks ago on Rollei Retro 400S film, that was loaded in an Olympus XA2 camera, then developed in Ilford LC29 chemistry. Well that was fun. Five hours in a stuffy archive centre, wheeling through microfilms, with not much to show for it other than sore eyes. I'm still concentrating solely on that mtDNA line - my strict maternal line. I had got back to my G.G.G Grandmother, Sarah Daynes (nee Quantrill). She stated on several censuses that she was born around 1827 at Wymondham, Norfolk. She most likely was the thirteen year old family servant, Sarah Quantrill, employed during the 1841 census in the Long household at Wymondham. It looks like she had to look after forty year old James Long, a farmer, and several of his children, some a similar age to her. 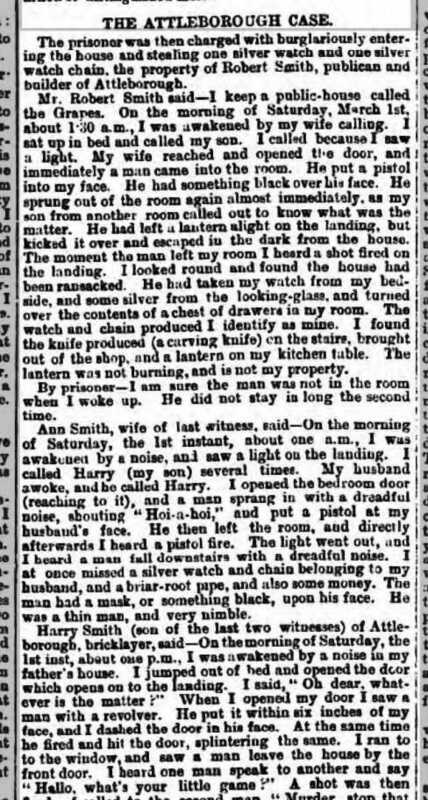 She went on to marry Reuben Daynes at Besthorpe, Norfolk on the 26th April 1849. She appears to have remained at Besthorpe for most if not all of her remaining life. Turnpike Road Cottages, to be precise, which I believe to be close to Morley and Wymondham. Her husband Reuben, was a labourer, still employed in at the age of seventy. He lived to a good old age, although by the age of 78, he was forced to turn to parish relief. They were still living at Turnpike cottages in 1901. So, we know by census that mtDNA G.G.G Grannie Sarah was born circa 1827, at Wymondham, and that her father was a labourer named Robert Quantrill. I slowly scanned through the Wymondham baptism registers from 1813 until nearly the late 1830s. Wymondham had a lot of babies. Surely, by reason of thought, I should find the baptism of Sarah, and perhaps some siblings? That would be the normal next step. Nope, nada. I wasted hours. Although I know that there are splashes of the Quantrell/Quantrill/Quantrele surname around mid Norfolk (Bunwell and sometimes Norwich crop up on searches), it didn't crop up much in the Wymondham parish registers. Which can also be a good thing.However, in this case, I found a mere five of them, and none particularly helpful. Two daughters in 1826 and 1827 of a John Starling and his wife Maria (nee Quantril). Nonconformist. I have a hunch though, that they were not. A nearby parish - but so many possibilities! I could be looking for months or years. Something happened to the family, such as moving far away for years, or death / break up - hence Sarah working as a servant at thirteen years of age. Robert Quantrill bachelor of this parish & Mary Page of this parish by banns 12th October 1818. G.G.G mtDNA Grannie Sarah, born nine years after that marriage, claimed that she was born in Wymondham, and also claimed that her father was a Robert Quantrill. They fit, it is so tempting, that I have provisionally claimed Mary Quantrill (nee Page) to be my next generation back, my G.G.G.G mtDNA Grannie. However, it's not good paper genealogy. Really I need to verify her as a direct ancestor. I could have the wrong couple, or it could have been the right Robert Quantrill (the only Robert Quantrill so far spotted in Wymondham), but an earlier marriage. I at least need to see Sarah named as the daughter of a Robert & Mary Quantrill, born of them around 1827, perhaps in Wymondham or nearby. This would be pre-state birth registration, and before anything I can find on a census. I can't find her or any siblings in the Wymondham baptism registers, so where next? I need her baptism. On the positive, I'm making some progress. 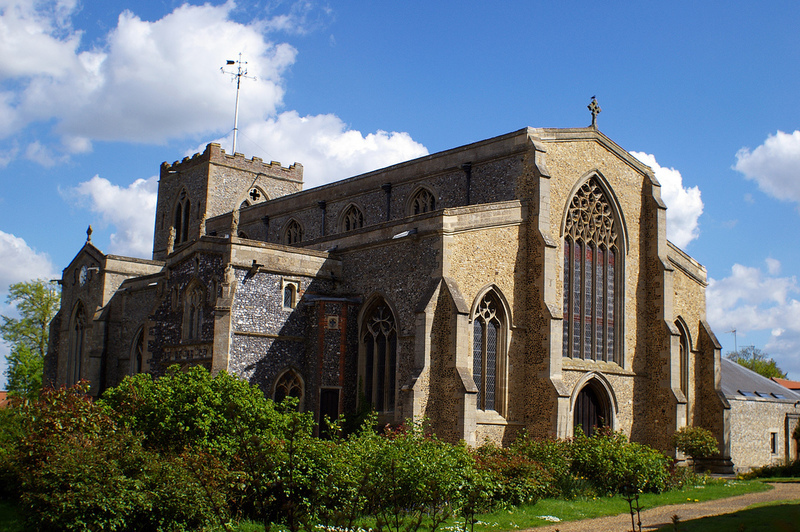 Before my recent campaign, all of my mother's recorded ancestors had been very much East or Broadland Norfolk. That is where her autosomal DNA would largely originate for I suspect, many centuries. Quite interesting, because the Far East of East Anglia is where some researchers such as Stephen Oppenheimer, have suggested the strongest genetic evidence of Anglo-Saxon admixture. Place-name evidence there also strongly suggests Danish Viking settlement. The shores of East Anglia were the places where immigrants were most likely to beach. I have also previously read that the sea levels dropped very slightly around the eighth century AD, making areas such as Norfolk Flegg, easier to drain for settlement by immigrants from across the North Sea. And yet, my mtDNA line skips away from that Eastern fringe, into South Norfolk. I didn't expect that. In Besthorpe, it is only a parish away from some of my father's autosomal ancestors at Attleborough, and not so far away from his mtDNA at Hedenham in South Norfolk. My parents grew up in very different districts of Norfolk, at least thirty miles apart, with the City of Norwich in between. Yet follow the genes back, and you can start to see how earlier admixture between their ancestors could well have taken place within the past five hundred years. The recent POBI (People of the British Isles) genetic survey (2015) suggested that despite admixture from many waves of immigration going back over thousands of years, that the present day English are very homogeneous. The same survey also said that the patterns of the old Anglo-Saxon kingdoms still show on their genetic map. I've only followed the mtDNA line back five or six generations so far. However, I can't help noticing that it is swirling around South and East Norfolk. It is more mobile than many of the autosomal lines. Perhaps women were more likely to move over the past few centuries to new parishes, to their husbands? I say swirling - I have got back so far to Wymondham. That is the same South Norfolk market town that my parents retired to. I even lived there for a while. My mother, my sister, my niece, who all share my mtDNA, still live there. Yet no-one was aware that we had ancestors there in the town.